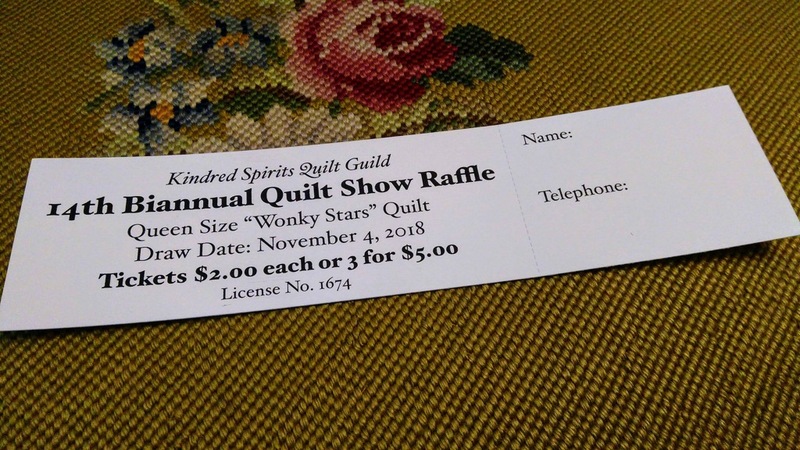 When I agreed to make up the tickets for this year’s Kindred Spirits Quilt Guild raffle, I bit off a little more than my time would allow to print on the letterpress (they need 1,500 tickets, perforated; not beyond my capacity, but a big job). So I reverted to my previous career as a graphic designer and produced a PDF for someone else to print, in this case Kwik Kopy, which did a nice job. Buy your tickets starting next week from Kindred Spirits members! Written June 8, 2018 at 5:49 p.m.